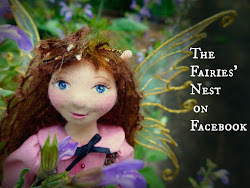 The Fairies Nest - OOAK Cloth Dolls & Fiber Fantasies: Feeling Fall! thank you for sharing, your babies are soooo cute!!! The babies are so cute! Happy birthday! They are so sweet. Just precious. I wish it were cool here in SoCal! Happy birth month, fellow librarian-in-retirement! My mom is a September baby, too. Thanks for posting the Jackson poem, as it was unfamilar to me. 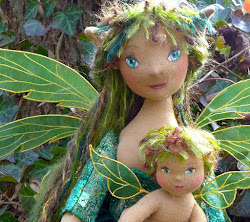 Love your autumn babies...our air conditioning is still on, sadly. I'm with you on autumn, it is my favorite time of year, the colours, smells and the calm cool morning air. 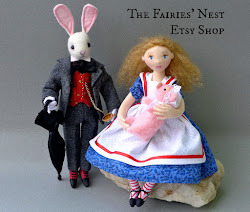 I've just found your blog, and am absolutely enchanted by your stunning work! So many things you could put on that next line isn't there! Loved seeing them sitting in the tree!